Music is mobile. Heck, we are the group that coined the term “roadies”. So, we pack up our talent and bring it all over the world. With us comes our stuff — instruments, stands, amps, cords, sound boards and other gear all move about, helping us bring our art to the next town. You’ve invested a lot of money in this equipment. And as you travel, you increase the risk of damage or theft. That’s where insurance comes in. There is a way to protect your instruments and equipment while you’re on the road. As we approach Summer NAMM, we field a lot of questions about how to protect music equipment as it moves from place to place. Believe it or not, your insurance coverage can change based on where your stuff is located. For example, a sound board can go from being covered in your store, to not covered in your van, to sort-of covered at Summer NAMM…all under the same policy. The insurance nerd speak for this phenomenon is located in the Property portion of your Package or Business Owners Policy. While certain insurance companies may differ slightly, most policies will have two trigger terms: “Property In Transit” and “Property Off Premises”. Property In Transit refers to the soundboard referenced above being on its way to NAMM in a vehicle. Just like it sounds – this is the coverage that protects your equipment while it’s on the move. Check your policy for the limit; is it enough to account for the value of everything in-transit at any given time? Remember — this is not just in one vehicle! If multiple vans are carrying your equipment to NAMM, add the values together. Property Off Premises refers to that soundboard being at Music City Center, or an instrument being at a friend’s home. 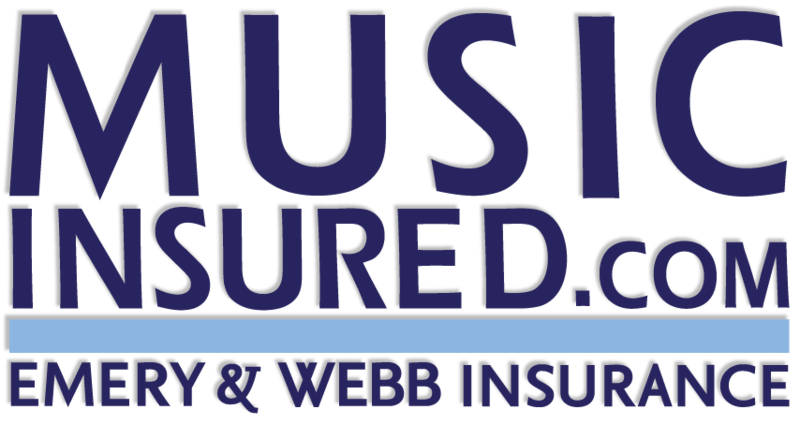 Look for the Property Off Premises Limit on your policy; does it cover all equipment that will be at NAMM, and at your friend’s house. Another way to protect your equipment as it travels is with a separate policy typically called “Inland Marine“. These policies are designed for items always on the move or needing special coverage. Inland Marine policies follow your instruments and equipment as you travel. They can be excellent, maybe a bit more expensive, but often worth the cost. Be sure to read the details, though! These policies can vary company-to-company in what they cover. Take some time to read your policy before you hit the road, or give us a call. We are happy to walk through your policy with you and make sure you have what you need. There are enough surprises in moving and traveling; let’s keep them to the positive kind. After you and your equipment have safely arrived in Nashville for Summer NAMM, please come say hello to our Music Team! We’ll be in the Member Center! This entry was posted in NAMM.